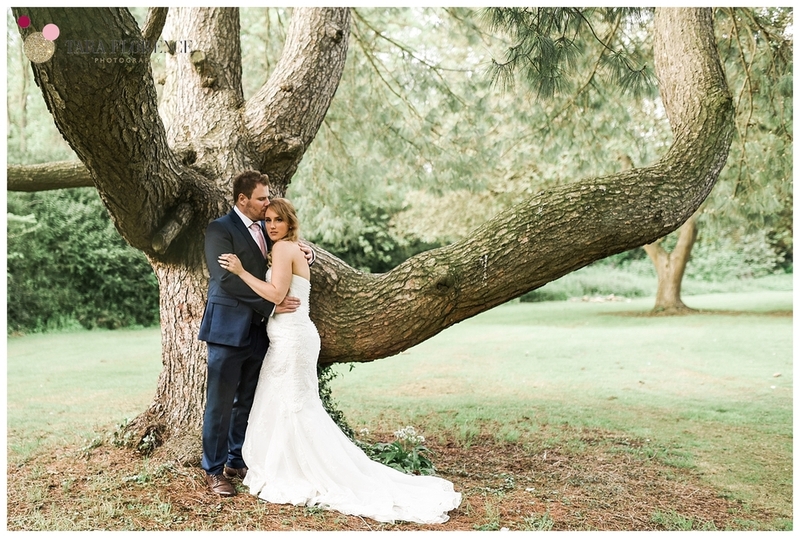 Last month I had the absolute pleasure of photographing the beautiful wedding of Alysha and Liam at the gorgeous Barton Hall in the Northamptonshire countryside. When your mum is one of the county's finest florists - The Flower Stylist, one thing is for sure - your wedding flowers are going to all kinds of amazing. Alysha had probably the biggest and most jaw dropping bridal bouquet I've seen featuring some stunning Coral Charm peonies, hydrangea, ranunculus, David Austin roses and pretty anemones. To compliment Alysha's bouquet, there were perfectly bloomed peonies displayed in cloches, flower garlands galore, fresh lavender bursting from the drawers of the sweet table and the initials of the couple made in tiny roses (made by the bride herself, no less!). If flowers are your thing, this wedding is definitely for you! The styling of Barton Hall on the day was truly unprecedented and what makes it all the more amazing is Alysha, her mum Ann and her bridesmaids did it ALL themselves the night before! From the flowers, to the huge balloons, the beautiful centre pieces and the amazing little hand made 'drink me' favours. No detail was overlooked. So many brilliant suppliers were involved in making this day one to remember, including an prize worthy cake by Lillibet Bakes with hand made, sugar crafted peonies to compliment the flowers of the day, make-up by the perfectionist that is Jo Tromans, stationery by White Cottage Weddings, rings by the uber talented Bijoux Jewels, Hair by Lynddy and videography by the awesome Halford Films. All of Northamptonshire's finest, I'm sure you'll agree! Mr. & Mrs. Molyneaux, thank you so much for letting me be a part of your big day, wishing you all the best for the future!